Rutland, VT — Following a comprehensive search, on June 7, the Vermont Electric Power Company Inc. (VELCO) board of directors unanimously elected John Flynn as the company’s Vice President of Strategic Business Development. John joins VELCO’s senior leadership team, where he is responsible for advancing VELCO’s business development efforts as the company seeks to deliver more value to Vermont electric customers while fostering a sustainable Vermont. John comes to VELCO following his retirement from National Grid where he led a combined US-UK team focused on strategy and business development. He previously served as American Transmission Co.’s Executive Vice President, Strategic Planning and Project Development. 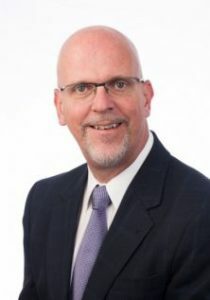 Earlier in his career, John served in several key leadership posts at American Electric Power in Columbus, Ohio, and at Northeast Utilities in Berlin, Connecticut. John began his career with the accounting firm of Arthur Andersen in Connecticut. John lives in Stowe with his wife, Elaine.